With its revised styling, interior design and functionality enhancements and a new F Sport package, the five-passenger 2013 Lexus RX 350 midsize luxury SUV continues to reign as the best-selling luxury crossover. An impressively smooth ride and lots of standard features seal the deal. With an all-new design just a couple years off, the revisions to the 2013 Lexus RX 350 - including the addition of the F-Sport - are calculated to keep buyers happy with this midsize luxury crossover SUV for a little longer. No, it's not a particularly sporty vehicle, even in F Sport guise, but it does do what Lexus does well: satisfy its customer base. 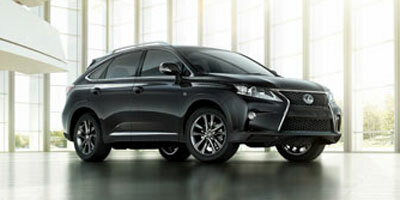 Editors at Consumer Guide find the 2013 Lexus RX to be a "refined, quiet, and plush SUV." Noting that the RX rides comfortably and has an interior that is "very well-finished" they say handling is "lackluster" and steering offers little feedback. They also comment that the optional navigation takes too much attention and distracts the driver. "If you want the feel of a luxury sedan yet desire the cargo capacity and ride height of a mid-size SUV, the Lexus RX is an excellent choice," says Kelley Blue Book. The publication also highlights the luxury crossover's "lofty resale value" and the Lexus reputation. Autoblog, meanwhile, comments that "the injection of sport does the RX cabin well." Over at AOL Autos, the headline reads: "Fresh styling for a smooth-riding luxury SUV." Owners of the 2013 Lexus RX 350 are fairly well satisfied with their purchase. They cite the great handling, exterior styling changes, refined user interface, clean, modern and sleek interior, and comfortable, and quiet as highlights. Other noteworthy comments include phrases like "a blast to drive," "comfy fun design," and "great technology." A few gripes are mentioned by owners. One commented that the car was a little pricey but worth it. This same owner experienced a problem with the AM radio, something that appears to be an infrequent complaint. Some owners commented about cabin noise being a little unacceptable. One F Sport owner said that the gas mileage was overrated, the ride is just awful and the vehicle itself is a "teeth-rattler." The 2013 Lexus RX 350 has a single trim, along with a new F Sport package. Standard equipment on the RX 350 includes 18-inch alloy wheels, fog lamps, LED running lights, automatic headlights, heated mirrors, keyless ignition and entry, rear privacy glass, power liftgate, dual-zone automatic climate control, eight-way power front seats with two-way lumbar adjustment, a tilt-and-telescoping steering wheel, sliding and reclining rear seat, an auto-dimming rearview mirror and cloth upholstery. Other standard equipment includes a nine-speaker sound system with six-CD changer, satellite radio and an iPod/USB audio interface, Bluetooth connectivity and Safety Connect emergency communications. Several packages are available. The Display Audio with Back-up Monitor package includes a 12-speaker sound system with HD radio and iTunes song tagging, Bluetooth phonebook download capabilities, a larger central display screen, the Lexus Remote Touch electronics interface, the Enform suite of app-based features, real-time traffic and other information, and a rearview camera. In the Premium package, buyers get power-folding mirrors, a rearview camera, leather upholstery, driver memory functions and a sunroof. Two packages can be stacked with Premium: Comfort and Navigation. The Comfort package tacks on xenon headlamps, heated and ventilated front seats (available separately) and automatic wipers. Navigation includes the Display Audio with Back-up Monitor package contents plus navigation system and voice controls. To get the Luxury package, buyers have to opt for Premium, Comfort and Navigation packages in order to get the addition of 19-inch wheels, LED headlamps, 10-way power front seats, upgraded leather upholstery, heated leather/wood steering wheel, and a smog-sensing auto climate control recirculation. If that's not enough, the Navigation and Luxury packaged can be spruced up with 15-speaker Mark Levinson surround-sound audio system, a dual rear-screen entertainment system and a head-up display. Standalone safety options include adaptive cruise control with pre-collision warning system and an automatic parallel parking system. The 2013 Lexus RX 350 F Sport is differentiated from the standard RX by several specific alterations. Most noticeable are the 19-inch alloy wheels finished in dark graphite, the mesh spindle grille and unique sport front bumper. On the inside, the F Sport features black leather-trimmed seats and contrasting white stitching, a black headliner and aluminum pedals. The steering wheel has paddle shifters and an F Sport badge. The F Sport has an exclusive eight-speed automatic transmission and firmer suspension with front and rear performance dampers. As for other standard equipment, the F Sport includes all the features from the Premium and Comfort packages as well as all-wheel drive. Power for the 2013 Lexus RX 350 comes from a 270-horsepower 3.5-liter V6 that produces 248 pound-feet of torque. A six-speed automatic transmission and front-wheel drive are standard, with all-wheel drive optional. The F Sport only comes in all-wheel drive and includes an eight-speed automatic transmission. Auto critics say the performance of the RX 350 engines is sufficient for most drivers, even though it isn't particularly "potent." They also have few complaints about the six-speed automatic transmission. EPA-estimated fuel economy with the six-speed automatic and front-wheel drive is 18 mpg city/25 mpg highway/21 mpg combined. With the six-speed and all-wheel drive, the numbers are 18/24/20 mpg. The F Sport, meanwhile, gets an estimated 18/26/21 mpg. While intended to appeal to male buyers, the F Sport delivers too harsh a ride, in the view of some automotive reviewers. Most buyers looking for a three-row luxury crossover will need to look elsewhere: the 2013 Lexus RX 350 seats just five people in two rows. As for the comfort of those two rows of seats, most auto reviewers say they are comfortable, but at the same time say they could use a little more ways to adjust. There's also lack of lateral support. Rear passenger legroom is considered good, while the 40/20/40-folding rear seat that reclines and slides is a good feature to accommodate people or cargo. Others find that the interior ergonomics are somewhat compromised. While the dashboard layout appears interesting at first, some say that the controls are haphazardly placed. There's also no flat or easily accessible space to store items frequently used, such as mobile phones. One noticeable gripe is that the traditional transmission shift lever always seems to be in the driver's way. Drivers of luxury crossover SUVs should expect to have all the bases covered, including how good the rear visibility is and how much cargo space the vehicles offer. One of the complaints about the Lexus RX from several auto critics is that the sloping styling impairs driver visibility and cuts down on cargo volume. As for that cargo room, the Lexus RX 350 can hold up to 80.3 cubic feet with the second row of seats stowed, 40 cubic feet with the back seats in use. There's also an innovative storage bin up front that slides and features dual power outlets. Safety equipment standard on every 2013 Lexus RX 350 includes antilock brakes, stability control, traction control, front and rear side airbags, side curtain airbags, front knee airbags, and the Safety Connect emergency communications system (including automatic collision notification, stolen vehicle location services and an emergency assist button). Optional features for safety include adaptive cruise control with pre-collision warning system (requires all-wheel drive), and an automatic parallel parking system. In crash testing by the National Highway Traffic Safety Administration (NHTSA), the 2013 Lexus RX 350 received an overall four-star (out of five) rating. This includes four stars for frontal-impact protection and five stars for side-impact protection. The Insurance Institute for Highway Safety (IIHS) gave the RX 350 its highest "Good" rating in frontal-offset, side and roof strength testing and named it a Top Safety Pick. No small overlap front tests were conducted on the 2013 RX. In terms of reliability, the 2013 Lexus RX has a four and one-half circle score in the J. D. Power Predicted Reliability rating. This means that the RX Is between "Better than Most" (four circles) and "Among the Best" (five circles) for reliability. Interested to see how the 2013 Lexus RX 350 ranks against similar cars in terms of key attributes? Here are the 2013 Lexus RX 350 rankings for MPG, horsepower, torque, leg room, head room, shoulder room, hip room and so forth.